This is what lunch really looks like. Leftover maple-mocha-bulletproof Chai in the background. Beef-liver, celery, avocado for lunch. Scale to keep me honest. 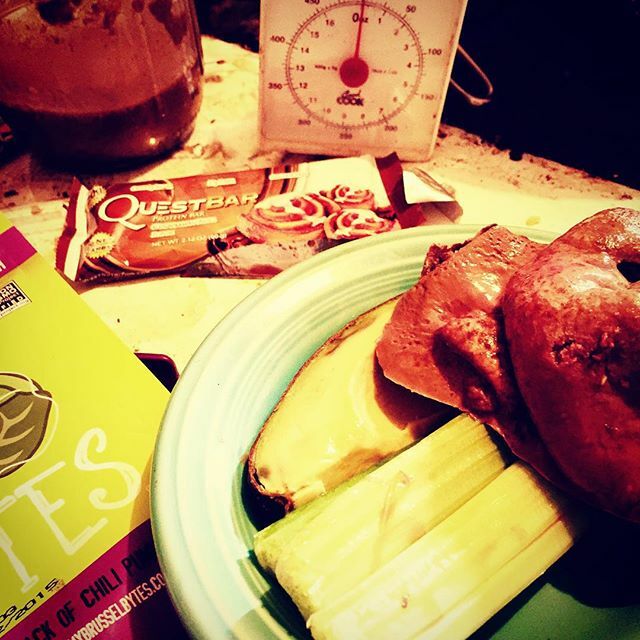 Quest bar and Brussel Bytes being packed for a snack.